I wish I had space for an avocado tree in my yard. I am dependent on the kindness of my friends, who have trees, to gift me this delicious green fruit… or I buy it like most people. On my recent trip to the grocery store I bought these two RED avocados because I had never seen this color before and the sign said they were from Florida. I live here; may as well buy local. It wasn’t until I got home and started to slice one open that I saw the decal which said “SlimCado. 35% fewer calories, 50% less fat than the leading California avocado, naturally.” I went to the grower’s website and read that the #SlimCado is the variety “Hardee” and it is NOT genetically modified. Having lived in California and eaten many avocados there and now living in Florida and eating avocados here, I can say that they are different. The typical California avocado is considerably smaller and higher in fat. The “Hass” variety is the most popular cultivar in California and worldwide. 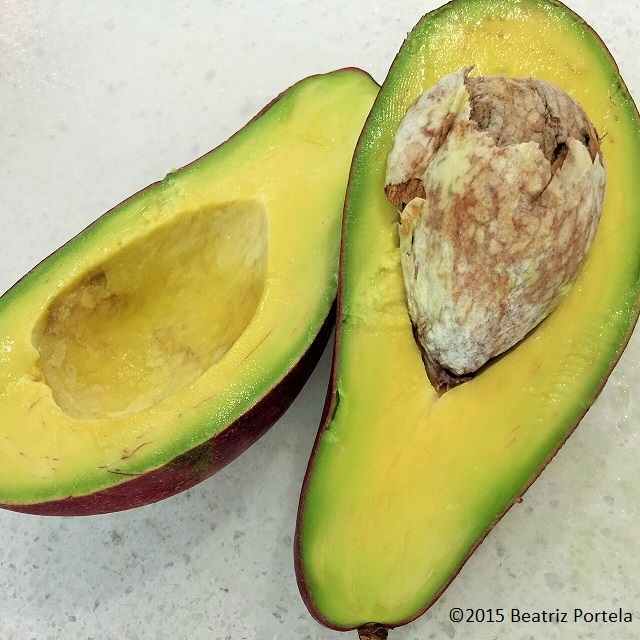 Florida avocados are generally larger and lighter tasting. The not-so-good varieties can be watery. So the claim on the label that SlimCados are “lower in fat naturally” is not surprising. I bought a red avocado about five or six years ago and it was so delicious. I started a beautiful plant from the seed and then planted it in the ground four years ago. It’s a huge tree and this is the first time that it has had flowers. I can hardly wait for the avocados in about 3 months. Let me know how they taste once they mature! Hate to tell you this but avacados usually don’t come true to seed. Most Avacados are airlayered on to a root stock. My cousin grows cucumbers out his back door. His wife calls it his pickle patch. I love your posts! You are a true inspiration! Now, I need to find some red avocados to put on my dinner salads! I just bought 2 at Publix. Only $1.00 each. They are amazing. 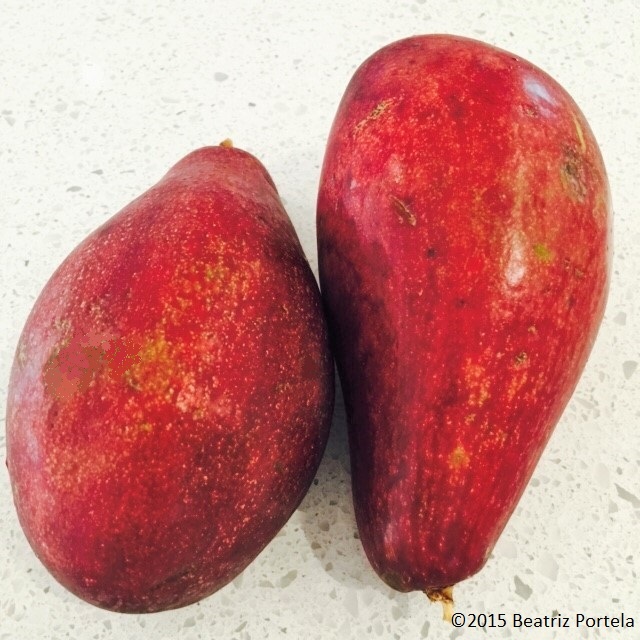 love avocados–never seen red ones before, so interesting! Thanks for sharing! I’d love to try these. And I hope you get your avocado tree! I adore them. My mom grew up on a small avocado farm in CA, where fuertes and hass are still grown. Very interesting. I never saw a red one.